China sees law enforcement cooperation with Thailand as a model to follow in other relationships. With Yu Zhengsheng, the chairman of the Chinese People’s Political Consultative Conference (CPPCC) and a member of China’s all-powerful Politburo Standing Committee, in Thailand this week, Chinese media is praising China-Thailand cooperation. Interestingly, Xinhua singled out law enforcement cooperation as a shining example – and a model for China to follow in conducting “neighborhood diplomacy” with other nearby countries. 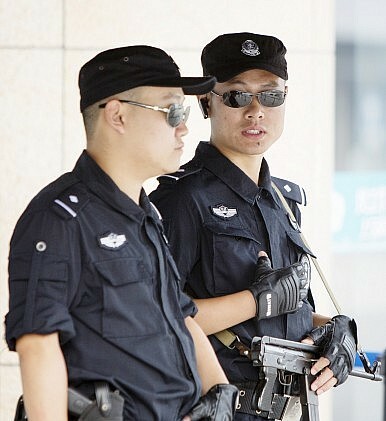 The Xinhua article emphasizes that law enforcement cooperation allows both governments to catch fugitives more easily. China is particularly interested in bringing back economic fugitives as part of its anti-corruption campaign, while Xinhua notes that China has “transferred dozens of suspects wanted by Thai police in recent years.” The two countries are particularly active in working together to combat drug-trafficking and people-smuggling. In 2012, for example, the successful manhunt for drug lord Naw Kham required joint operations involving China, Thailand, Laos, and Myanmar. The piece also points out that there’s a greater legal framework in place for law enforcement cooperation with Thailand. “Thailand was the first country to sign an extradition treaty with China,” Xinhua notes, and there are “other treaties and agreements between the two countries on cooperation regarding police and judicial work.” China currently has extradition treaties with 39 other countries, including ASEAN members Cambodia (1999), Laos (2002), and the Philippines (2001) in addition to Thailand (1993). Thailand, meanwhile, defended its actions by saying China had, in fact, asked it to deport all Uyghur Muslims residing in the country. Colonel Weerachon Sukhondhapatipak, a deputy spokesperson for the Thai government, told reporters, “This decision was difficult to make. It is not like all of a sudden China asks for Uyghurs and we just give them back.” He added, “China asked for all Uyghur Muslims in Thailand to be sent back but we said we could not do it.” Weerachon also emphasized that while 100 Uyghurs had been deported China, more than 170 had in fact been sent to Turkey. As East by Southeast points out, there’s a steady stream of Uyghur refugees traveling to Southeast Asian countries (though many hope to eventually wind up in Turkey). And in recent years, groups of Uyghurs have been deported to China from Cambodia, Laos, and Malaysia, as well as Thailand. As China’s law enforcement cooperation grows, so do the deportations. The Xinhua article passes over the controversy surrounding the Uyghurs, instead holding the incident up as a model of cooperation between China and a foreign law enforcement agency. “Earlier this month, 109 illegal immigrants, some of whom are suspected of being implicated in terrorist activities or criminal offenses, were repatriated from Thailand to China,” the article says. The Xinhua piece concludes that “the partnership between China and Thailand may serve as a good example of how close and practical cooperation, based on mutual trust, can be of benefit.” Expect China to seek more law enforcement cooperation with Southeast Asian countries and other neighbors–with all the pros and cons that entails.